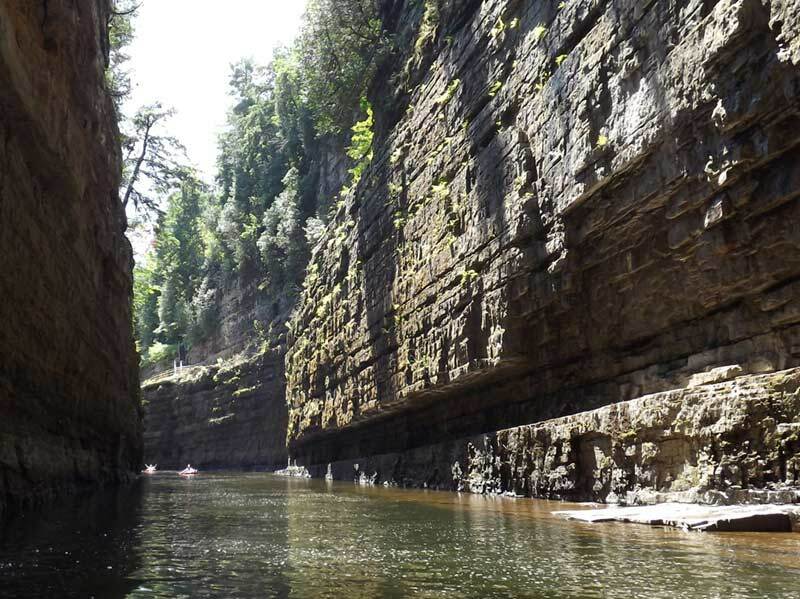 Located in the northeastern section of the park and also known as the Grand Canyon of the Adirondacks, this chasm was cut by the Ausable River through 500 million year old rock. Here visitors can enjoy hiking the trails, rock climbing, and tubing the river while taking in the impressive vertical faces of the canyon's walls. Built in the late 19th century, Camp Santanoni is an Adirondack Great Camp with three distinct building groups set on more than 12,900 acres. 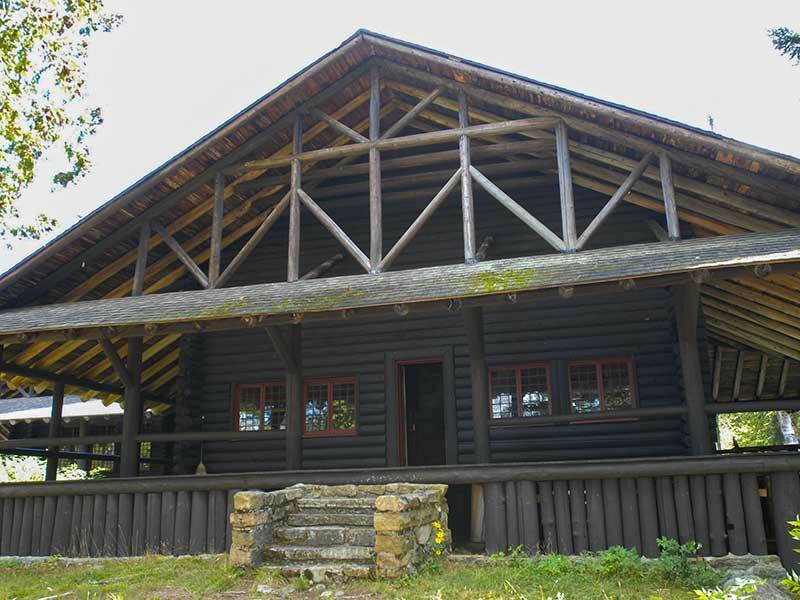 Originally built and owned by Albany banker, Robert C. Pruyn (1847-1934), this great camp isn't quite traditional: the overall camp design was inspired by Pruyn's early years spent in Japan. Many of the buildings are open to the public for tours and the camp features recreational trails and primitive camping locations. 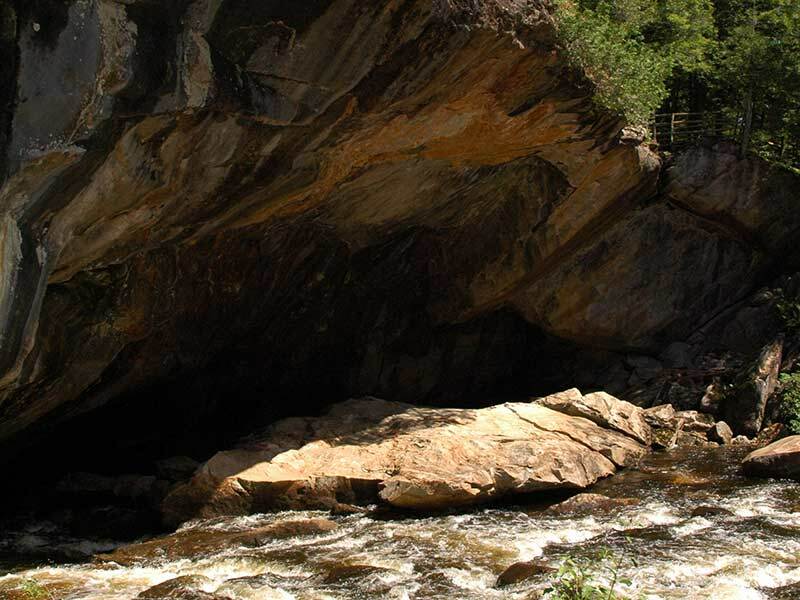 Not far off I-87 in Pottersville, you'll find the largest natural marble cave entrance in the East at more than 180 feet wide and over 60 feet tall. 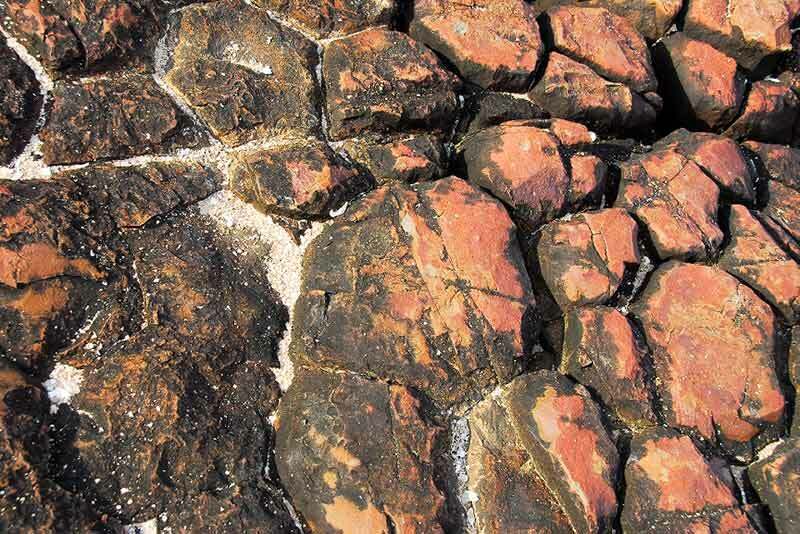 This cave system was formed by retreating glaciers during the last ice age. Visitors can enjoy a self-guided tour or opt for the Summer Adventure Tour allowing them a chance to explore inside the cave. 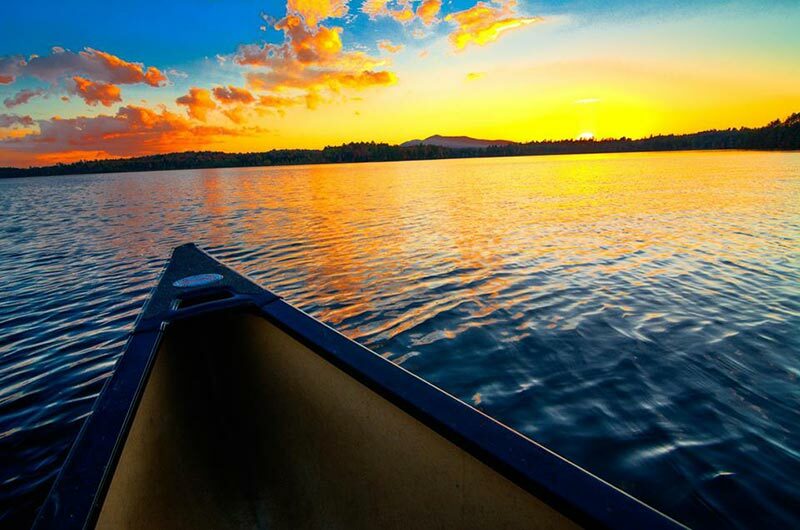 The largest canoe area in the Northeastern US and the only designated canoe area in New York, St. Regis Canoe Area has over 18,400 acres and 58 bodies of water. The fire tower on St. Regis Mountain's summit is visible from much of the water in this area. Two popular treks, the Seven Carries and the Nine Carries, traverse multiple ponds, between which you'll need to carry your canoe to the next body of water (carries are also known as portages outside of the region). 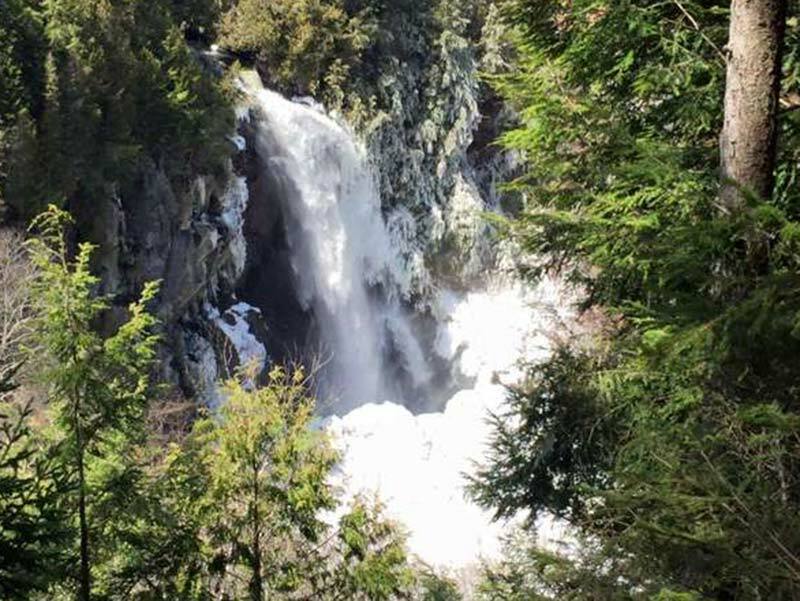 Inaccessible to the public before 2013, OK Slip Falls is one of the tallest waterfalls in the entire Adirondack Park at over 200 feet. This half day hike features two overlooks of the falls before you reach their top. Catch OK Slip Pond flowing into the Hudson River and even take a rest on some large tree roots. Established in 1878, the Barton Garnet Mine is one of the largest garnet deposits in the world. The Barton family began mining garnet for abrasives on Gore Mountain, but operations moved to Ruby Mountain in 1983. Tours of the mine date back to 1933 and will teach you how to find your own piece of the New York State Gemstone. 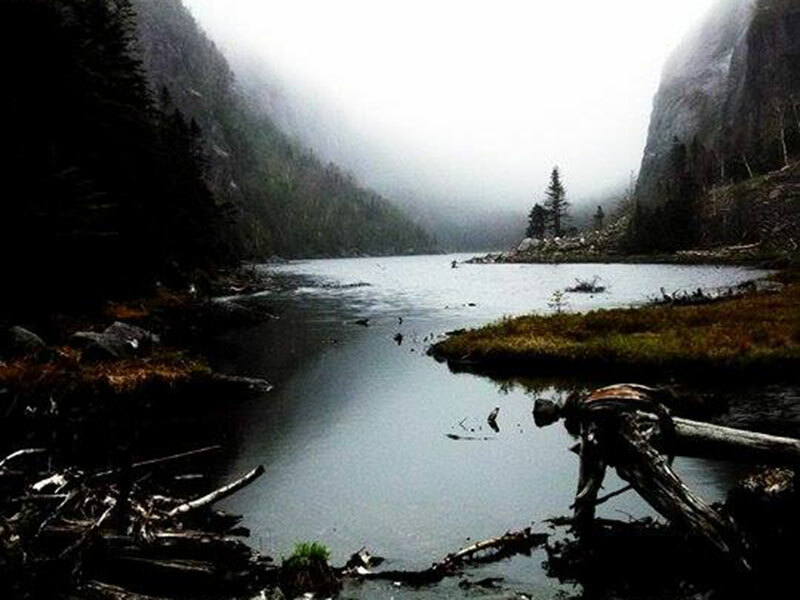 Take in one of the most beautiful mountain passes in the Adirondacks where rock slides and avalanches are commonplace. In the winter, you're likely to run into Nordic skiers along the trail which follows one-mile long Avalanche Lake. You may find yourself using the wooden catwalks first bolted into Avalanche mountain in the 1920s as you trek the through hike from Upper Works to the Adirondack Loj (or vice versa). Along the way you'll take in views of sheer rock faces and more recent rock slides.